Assemble iconic characters, vehicles, and more from Star Wars: The Last Jedi with Metal Earth! 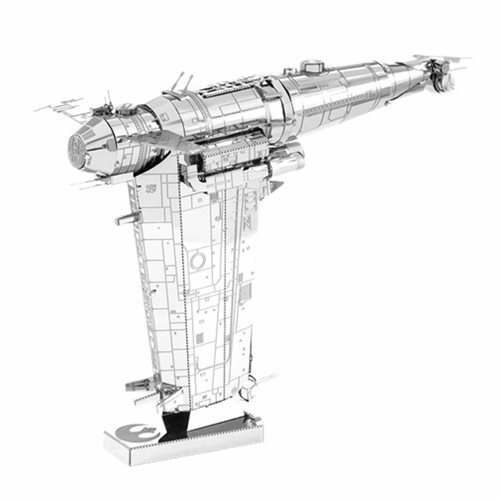 This Resistance Bomber Model Kit includes multiple metal sheets with unique pieces that pop out and fit together. Using the easy-to-follow instructions, you can connect all the parts to build amazing structures, ships, and more from the film. No glue or solder needed.